On January 30, 2019, Ynnins Editions published a new book called "Hommage à Kingdom Hearts: à la croisée des mondes" (in English: "Tribute to Kingdom Hearts: at the worlds' crossroads") by Romain Dasnoy and Pa Ming Chiu, who analyze certain elements of the series so far. The book also includes a preface written by Risa Uchida (Kairi and Xion's Japanese voice actress) and the exclusive interview with Yoko Shimomura (series composer), Takeshi Arakawa (game designer, and Kazushige Nojima﻿ (screenwriter). You can read the interviews below. 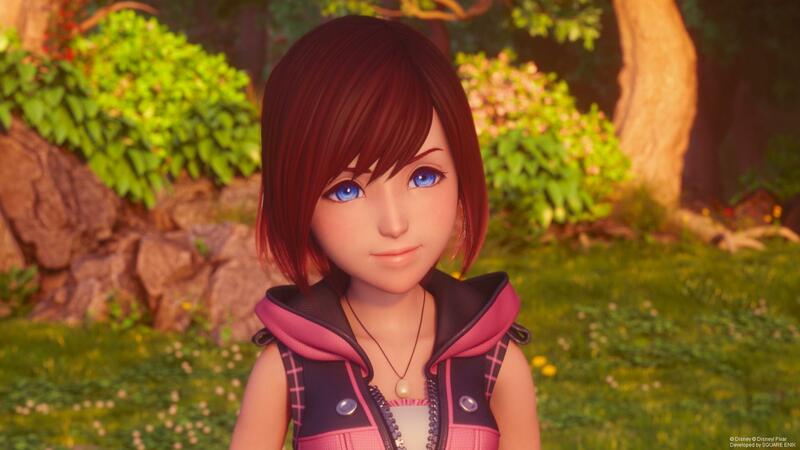 Thanks to KH13 Staff @Mio-chan, for translating. Guys! I just found this video the other day and I gotta say, it's awesome!!! It hit me right in the feels and the use of mods for the gameplay was well done. Xaddgx Absol Brasse deserves so much attention for this video so give it a watch guys, trust me, it's amazing! Having just heard about the death of Leonard Nimoy, all I can say is that he lived long and prospered.This year has seen the deaths of both Chikao Ōtsuka and Leonard Nimoy, and while Master Xehanort may not have been one of the greatest people in the world, these two men who provided his voice sure were. Tumblr. dA.